This is how I would have ended Requiem. You'll notice a slight variation from Mr. Carter's version. Imagine if it were Skinner abducted instead of Mulder at the end of Requiem. Now, imagine the rest of season 8. I swore I wouldn't do it, but I had to fill in a blank here. It doesn't change my opinion of the storyline for this episode, but it just made me sleep better at night. Post Existence series that takes a different path than Season 9. 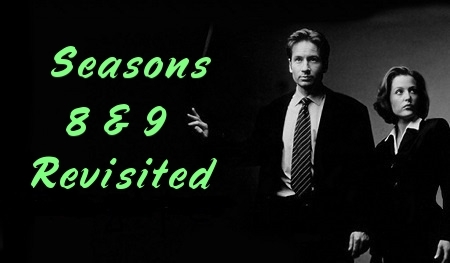 The idea for a ninth season belongs to somebody, but they're smart to remain nameless. I tried to fix things, but I didn't infringe on the copyright. Frankly, I doubt anyone involved would recognize the place. Link includes entire series.